Breezy, sunny and cool, fall is arguably the best season to explore Seoul -- the capital filled with tradition, history and a flair for fun. As the fall weather is ideal for outdoor activities, the city is offering an array of festival and events -- from traditional music festival to those that feature international cuisine in Itaewon. For those who would like to get a taste of Korea’s traditional music and dance, Seoul Arirang Festival, which is taking place at the Gwanghwamun Plaza in central Seoul next month, is worth checking out. 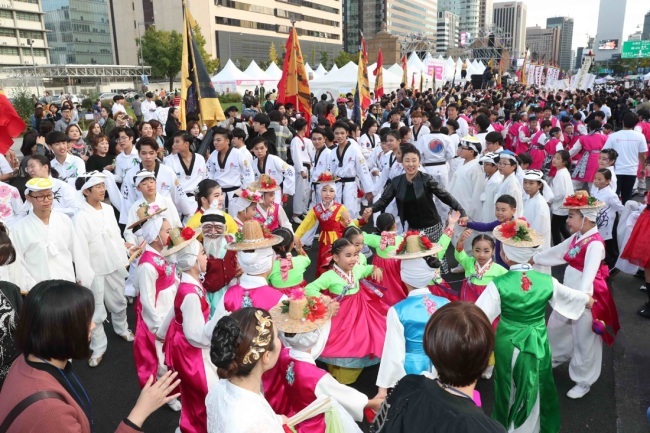 The three-day outdoor festival, to be held from Oct. 12-14, features Arirang, the famous Korean folk song which is largely considered as the country’s unofficial national anthem. A number of local artists, including rock band YB, will be performing specially re-arranged versions of the tune, which is included on the UNESCO Intangible cultural Heritage list. Just Jerk, a group of Korean dancers known for their performance that feature traditional Korean dance choreography as well as synchronization, will be dancing to the much-loved Korean folk-song. With the fall leaves changing color in downtown palaces -- Gyeongbokgung and Deoksugung -- visitors will have a chance to see a performance that features traditional court dance that used to be performed at royal family rituals during the Joseon period (1392-1910). 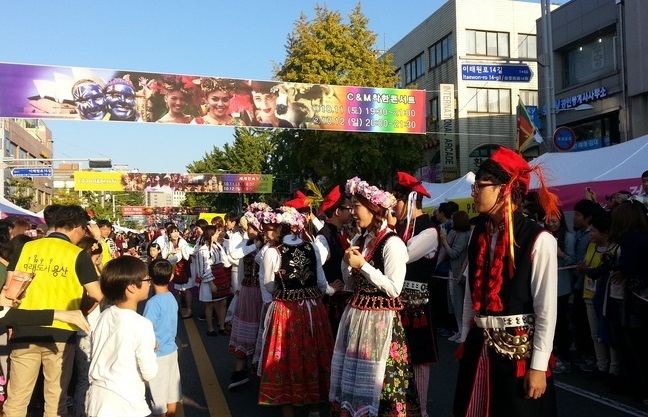 In Itaewon, an expat-friendly neighborhood in Seoul known for its cosmopolitan dining and vibrant nightlife, the annual Itaewon Global Village Festival is taking place on Oct. 13. The festival, which had its first edition back in 2002, offers a fun mix of Korean traditions and foreign cultures and food. Some 10 million Koreans and foreigners have enjoyed the festival over the past 16 years, according to the organizers. There will be some 50 vendors, each featuring a country and its cuisine, traditional garments and unique culture, along with music and dance performances by Korean and foreign-nationals living in the neighborhood. Autumn is also the best season to enjoy late-evening, outdoor concerts. Seoul’s Hongdae district, located near Hongik University, is known for its urban arts and indie music culture. On Sept. 30, an indie-music concert named Hongday Festival is to take place in Hongdae, featuring a total of seven popular Korean indie bands, including Crying Nut, Solutions, Tatles, and Macguffin. The free outdoor concert is to be held from 2-7 p.m. at the public parking lot space in front of the Sangsangmadang building in Hongdae. 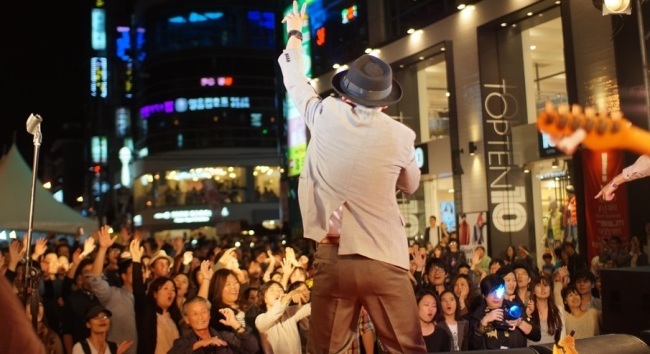 Aside from the performances, visitors will have a chance to learn more about the history of indie music in Hongdae, which is closely linked with the university culture in the area known for its political progressiveness and appreciation for arts and music. For more information on Seoul Arirang Festival, call (02) 709-7408 for more information. For Itaewon Global Village Festival, call (02) 797-7319. For information on Hongday Festival, call 3153-8674.